Tweet burst on the music scene in 2002 with a boldness and sensuality that made people quickly pay attention. Her first single, “Oops (Oh My)” climbed to the top of the R&B/Hip-Hop charts and made the industry take notice with her sultry lyrics and hypnotic voice. Her look, her sound and her sexiness set new standards in the industry and all eyes were on her. Her follow-up single was the incredibly seductive “Call Me,” which again landed in the R&B/Hip-Hop Top 10 and garnered her an accompanying Verizon commercial. Her platinum selling debut album Southern Hummingbird , also spawned the fan favourites “Smoking Cigarettes,” “Motel” and “Boogie 2nite.” Tweet ’ s effortlessly classic voice and innate ability to interpret songs quickly solidified her place in the industry. Tweet ’ s 2005 album It ’ s Me Again , led by the single “Turn of Da Lights,” gave her yet another Top 5 album. As with her previous album, she masterfully showcased her vocals on songs like “My Man” and “I’m Done.” The album peaked at No.2 on the Billboard R&B/Hip-Hop charts but fared better critically than commercially. Becoming disenchanted with the music business, Tweet decided to take some time away to reinvigorate herself and take complete control of her life. She dedicated herself to being a full-time mother to her daughter and focused on cultivating and nurturing her relationship with God. Though she was no longer in the spotlight, the love and passion for music never left her, and she would continue to perform sporadically and create her own material. Based on the love and support from her friends, family and faithful fans who missed her dearly, Tweet decided to rejuvenate her career and return to the music industry. But her journey to re-enter the music industry was not an easy one. There were several failed attempts, let downs and disappointments along the way, but through it all Tweet never gave up hope and her faith never wavered. She continued to pursue her musical passion. 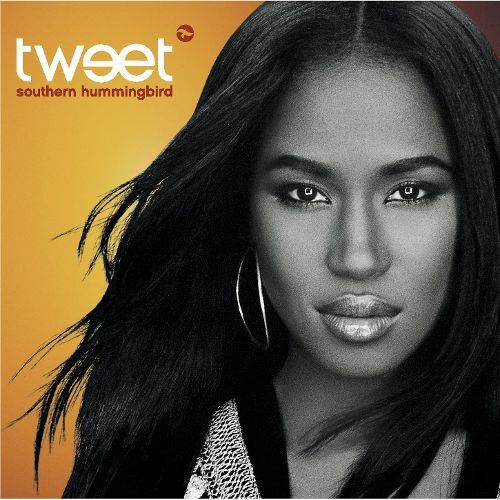 With a determination not to fail, Tweet continued to press forward and in 2011 she signed with DuBose Music Group, in a deal she describes as “heaven sent,” and began the process of creating her new album Simply Tweet . This new project is created with her new musical ambitions and goals in mind but still inhabits the Tweet that fans have longed for. With her new perspective, fans are sure to get a project that is creative, soulful, moving and in true Tweet fashion, timeless. Each track will remind us of why we first fell in love with her and why she is and will always be, Simply Tweet.